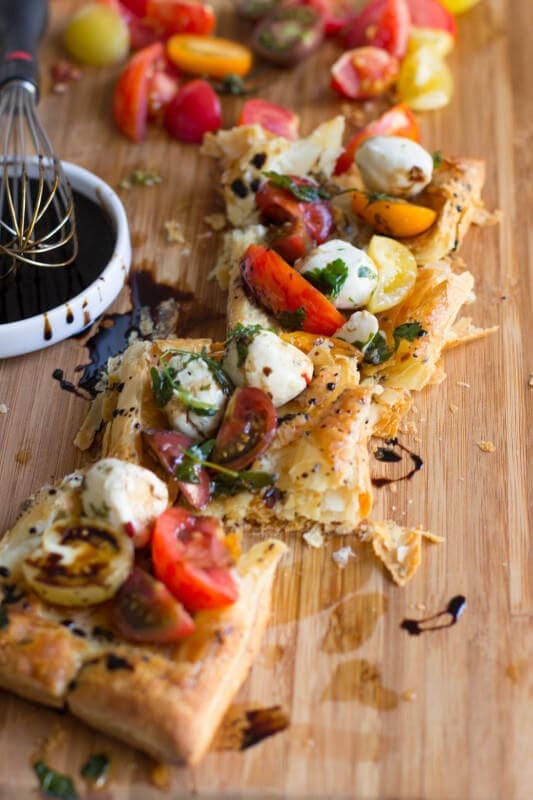 This heirloom tomato and mozzarella tart is so easy to make even the kids can help out. It looks gorgeous, tastes even better and is a no fuss recipe. I took the little ladies to this little farm place the other day and we were talking about all of the different animals and how we get wool from sheep, eggs from chickens and so on. When we finally arrived at the cows I asked Little C, “What do we get from cows?” and she couldn’t think of anything. I went ahead and changed the question to, “Where does milk come from?”. Nope, still no answer. Clearly it was time we go back to dairy and touch on a few things. The kiddos have started really liking tomatoes so I made us a fancy heirloom tomato and mozzarella tart to devour while we talked about dairy. All with a little help from my partnership with the Dairy Council. On the website there’s a link to the cow locale which has a bunch of real life farmers that I could show the girls while we ate. First, let me say this, the girls aren’t perfect eaters and especially not the little one, but they are getting better because we try to let them learn about what they are eating as well as help prepare it. Cade and I loooooved this tart. They looooved the puff pastry and picked at the rest. It’s a start and that’s all I care about when introducing them to new things. Anyway, we were able to look at pictures and talk about the people that work really hard to give us the milk/food we eat and drink. The girls weren’t overly impressed with the fact that these good people are working harder than most of us and get slaughtered for it in the media and by those who have forgotten that we all come from farmer families in one way or another. It’s how people ate. So we pretty much left that for another day. I’m dying to get them out to a bunch of different farms and let them experience it first hand. Cade and I want the girlies to know their heritage, that they come from families that worked hard to provide food all year round for themselves, that people today are still hoping, working and praying that their crops, cattle etc will provide a living for themselves and good food for others. How do you teach your children about food and where it comes from? An heirloom is generally considered to be a variety that has been passed down, through several generations of a family because of it’s valued characteristics. Heirloom tomatoes are varieties that were introduced before 1940, or tomato varieties more than 50 years in circulation. Family Heirlooms are seeds that have been passed down for several generations through a family. 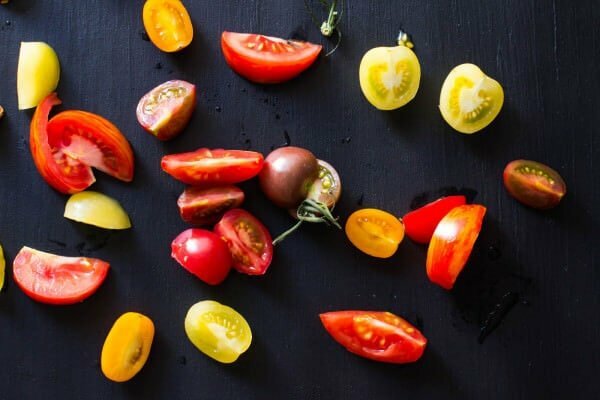 Heirloom tomatoes offer an intense flavor that put them in a class of their own. Many gardeners agree that most heirloom varieties boast greater flavor than that found in hybrids. But, they usually have a shorter shelf life and less disease resistance than hybrids bred to resist against specific diseases. What Are Mozzarella Balls Marinated In? Mozzarella balls are marinated in olive oil, fresh herbs,lemon juice, and salt. Heat the oven to 400 degrees, and line a baking sheet with parchment paper. Using a sharp knife, carefully slice (not going all the way through the dough!) a border about 1/4-1/2″ around the dough. Remove from the oven and lightly press down the middle to make it flat and even. 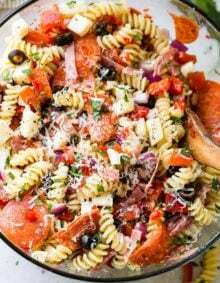 Sprinkle with a little of the olive oil marinade from the mozzarella, mozzarella, chopped tomatoes, and drizzle with reduced balsamic vinegar. If we don’t have access to Costco marinated mozzarella, what should you recommend? Olive oil and spices? Hi CJ, most grocery stores sell it in the specialty cheese section now, but if not, do extra virgin olive oil with Italian seasoning or fresh herbs such as basil, a little oregano, parsley and a dash of rosemary. or go simple with just extra virgin olive oil, basil and a little parsley. The next time I have visitors I will have to make these dishes. Yummo!!!!! omg. LOVE this tart. So perfect. Where is the recipe for the olive oil marinade??? Fabulous, Carrian! 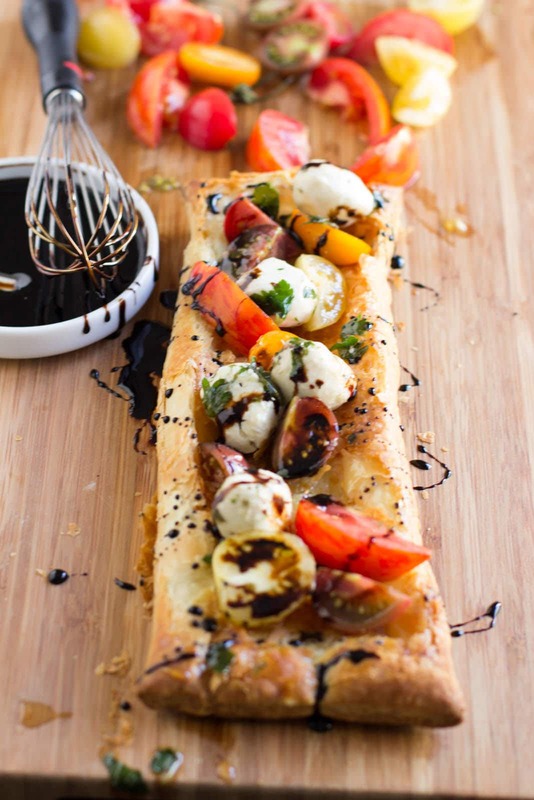 I can almost taste that balsamic drizzle. Love this fancy tart. I’d be happy to eat it any time. Well we should eat it together! That’s a beautiful tart! 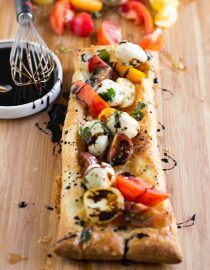 The Balsamic Vinegar drizzle just makes it look amazing! I so totally want this for dinner tonight! What a nice story, Carrian! I can’t wait to teach my future children about food, growing your own and appreciating where it all comes from. Thanks for sharing the experience and this gorgeous tomato tart! So fun! I want to hang out with your girls and you at a farm! And I can’t wait to make this at the lake this week! 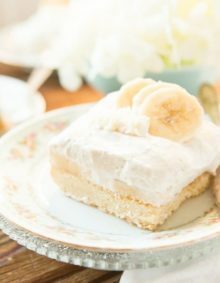 I love recipes like this-so simple and so beautiful! And delicious too I am sure. Thanks! my kids are all grown up, but I grew up around dairy farming and it horrifies me how little most kids know about where their food comes from, so kudos for teaching them! we teach our children to read and blow their noses and do mathematics, why not teach them how to eat? Aw! 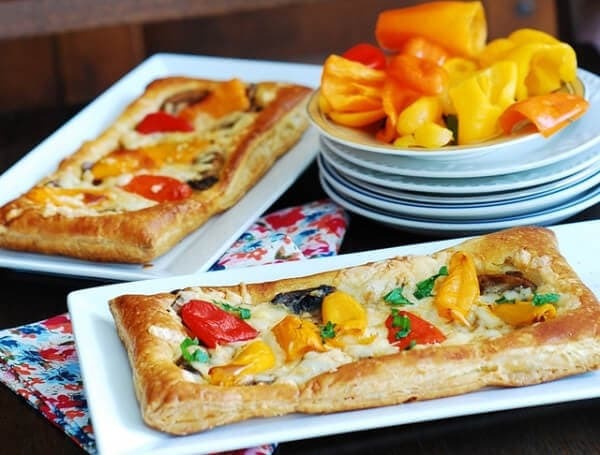 That’s so great how you’re teaching your girls, and this tart looks fantastic! 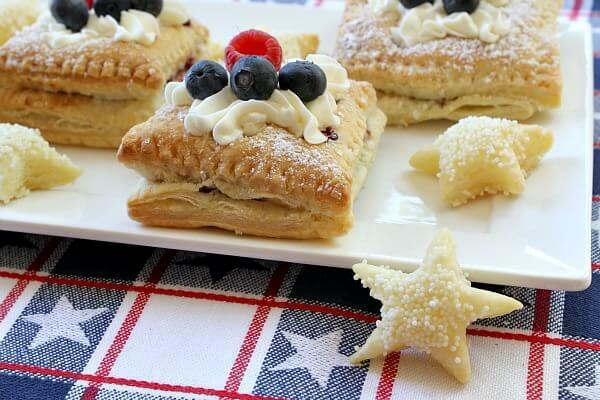 Such classic flavors in a fluffy package! 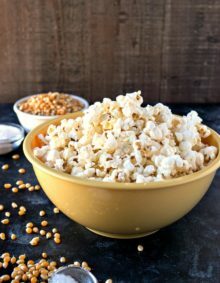 Definitely a great summer recipe to have. I love these lessons you shared with your children! So important!!! And this tart – divine!!! Your day at the farm with your girls sounds so fun, I would love to visit one close to home when I get back to Colorado! 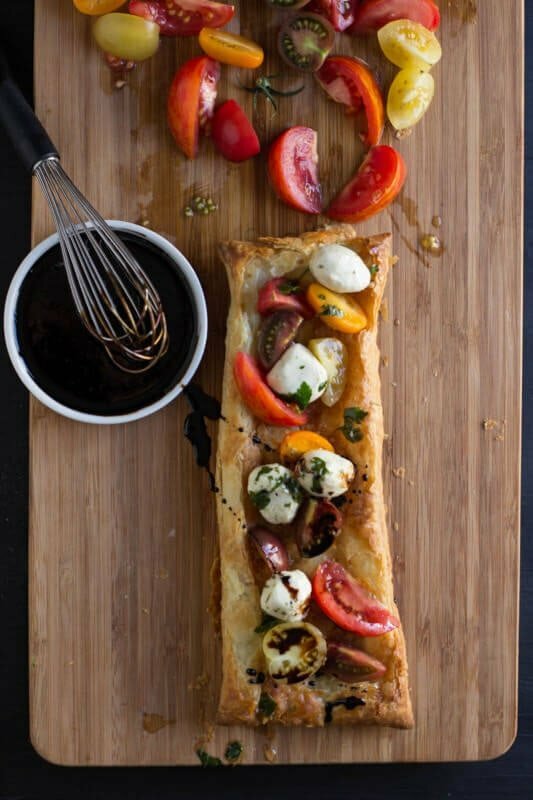 This tart is gorgeous and I love heirloom tomatoes! 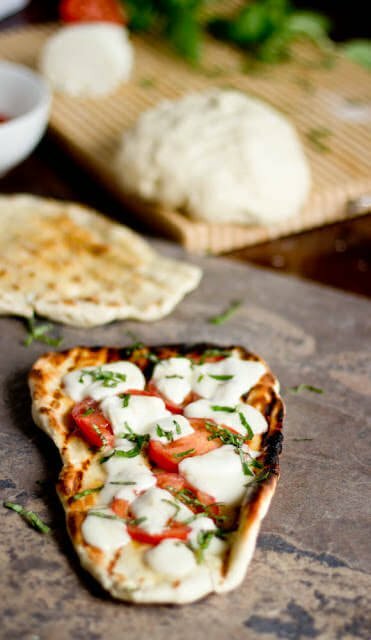 Perfect summer appetizer or even dinner!